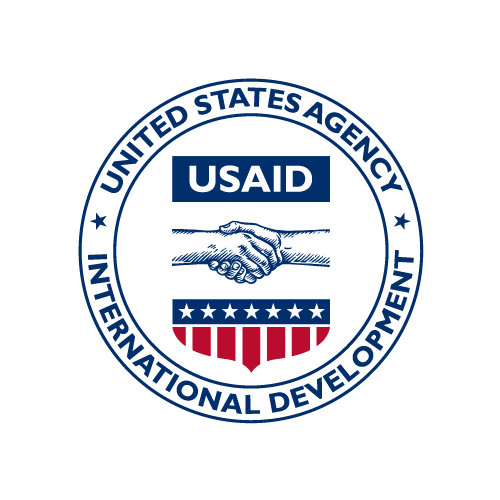 The USAID construction assessment is a survey of the character, scope, value and management of construction activities supported by USAID during the period from June 1, 2011 to June 20, 2013. This dataset describes the behavior of the mothers during pregnancy as determined in the Baseline Study of Food for Peace Title II Development Food Assistance Program in the Maradi and Zinder regions in Niger. It has 19 columns and 2,262 rows. In fiscal year 2012, USAID's Office of Food for Peace (FFP) awarded funding to private voluntary organizations (PVOs) to design and implement a multi-year Title II development food assistance program in Niger. The main purpose of the Title II program is to improve long-term food security of chronically food insecure population in the target regions. FFP contracted a firm, ICF International to conduct a baseline study in targeted areas of the country prior to the start of the new program. The purpose of the study was to assess the current status of key indicators, have a better understanding of prevailing conditions and perceptions of the population in the implementation areas, and serve as a point of comparison for future final evaluations. Results would also be used to further refine program targeting and, where possible, to understand the relationship between variables to inform program design. The study was conducted in 2013, while FFP expects to conduct final evaluations as close as possible to the end of the program five years later. In fiscal year 2012, USAID's Office of Food for Peace (FFP) awarded funding to private voluntary organizations (PVOs) to design and implement a multi-year Title II development food assistance program in Guatemala. The main purpose of the Title II program is to improve long-term food security of chronically food insecure populations in the target regions. FFP contracted a firm, ICF International, to conduct a baseline study in targeted areas of the country prior to the start of the new program. The purpose of the study was to assess the current status of key indicators, have a better understanding of prevailing conditions and perceptions of the population in the implementation areas, and serve as a point of comparison for future final evaluations. The results were also used to further refine program targeting and, where possible, to improve the understanding of the relationship between variables to inform program design. The study was conducted in 2013, while FFP expects to conduct final evaluations as close as possible to the end of the program five years later. The data asset is comprised of six datasets: Agricultural Practices, Child Health, Household Description, Maternal Health and Household Sanitation, Food Consumption and the sample weights to be applied during analysis. This dataset describes the agricultural practices of households surveyed as part of the Baseline Study of Food for Peace Title II Development Food Assistance Program in in Segamil and Paisano in Guatemala. It has 15 columns and 5,548 rows. In fiscal year 2012, USAID's Office of Food for Peace (FFP) awarded funding to private voluntary organizations (PVOs) to design and implement a multi-year Title II development food assistance program in Guatemala. The main purpose of the Title II program is to improve long-term food security of chronically food insecure populations in the target regions. FFP contracted a firm, ICF International, to conduct a baseline study in targeted areas of the country prior to the start of the new program. The purpose of the study was to assess the current status of key indicators, have a better understanding of prevailing conditions and perceptions of the population in the implementation areas, and serve as a point of comparison for future final evaluations. The results were also used to further refine program targeting and, where possible, to improve the understanding of the relationship between variables to inform program design. The study was conducted in 2013, while FFP expects to conduct final evaluations as close as possible to the end of the program five years later. The data asset is comprised of six datasets: Agricultural Practices, Child Health, Household Description, Maternal Health and Household Sanitation, Food Consumption and the sample weights to be applied during analysis. In the process of migrating data to the current DDL platform, datasets with a large number of variables required splitting into multiple spreadsheets. They should be reassembled by the user to understand the data fully. In the process of migrating data to the current DDL platform, datasets with a large number of variables required splitting into multiple spreadsheets. They should be reassembled by the user to understand the data fully. This is the second spreadsheet of twoin the Data on agricultural practices in Segamil and Paisano in Guatemala.